During EA's Play press conference, DICE announced Star Wars Battlefront II is getting new game modes this summer alongside finally receiving a major batch of prequel content in the future. One of those modes will be a new dogfight mode designed around hero ships. Another new mode will be added to the multiplayer sandbox, with players taking command posts and attacking capital ships, which may hint at land to space battles. 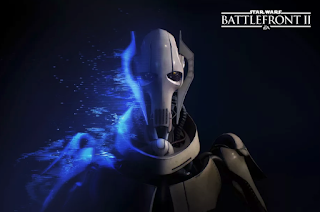 Finally, the game is receiving four characters, with Obi Wan and Anakin making up the heroes and General Grevious and Count Dooku making up the villains. Their battles will take place on the newly added Geonosis, which is touted as the biggest Battlefront map to date. No info was given on the exact number of maps or a release date.